Dream11 might deal in fantasy games, but its valuation of $500 million is now very real. Dream11 has raised $100 million (Rs. 700 crore) in a round led by Chinese internet giant Tencent, and is now valued around $500 million (Rs. 3,500 crore). The latest round was Dream11’s Series D, and included participation from existing investors. Previously, investors including Kalaari Capital, Think Investments, Multiples Equity had backed the startup. With a valuation of $500 million, Dream11 is now among the rarefied field of Indian startups that at valued at half a billion or more. Dream11’s dream run began in 2012, when it was founded by Harsh Jain, a graduate of the University of Pennsylvania and an MBA from Columbia Business School, and Bhavit Sheth, and MBA from Bentley University, Boston. Both were die-hard fans of fantasy football, and wondered why similar alternatives didn’t exist in India. They founded Dream11, a platform which allows users to choose the members of their their fantasy teams, and then earn real money based on how they perform on the field. Unlike some other players in the space, Dream11 requires users to pay an upfront amount before they participate in its contests. Users can create their own leagues, and challenge friends who can pick the best teams. Teams receive points based on how their players perform in real life, and the pot it split between the team owners. Given how popular cricket is in India, it’s not surprising that Dream11 has taken off — it had 10 lakh users in 2014, which grew to 1.5 crore users by 2017, and now Dream11 claims to have 4 crore users on its platform. 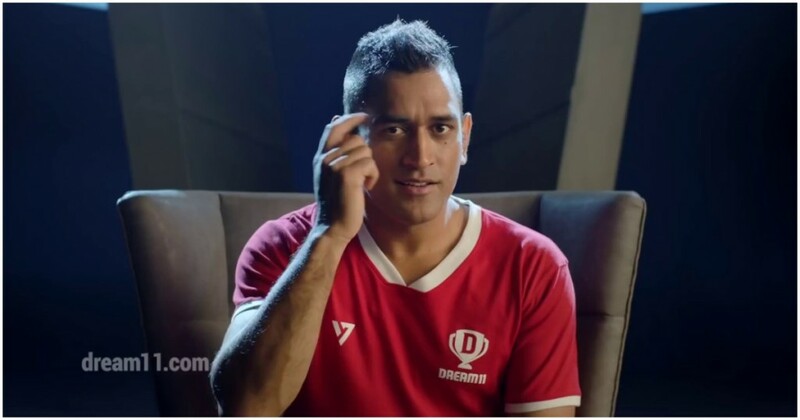 It’s helped that it has signed on some of cricket’s biggest names to endorse its product — in 2017, Dream11 had been endorsed by Harsha Bhogle, and this year, it ran a TV campaign with Mahendra Singh Dhoni, challenging users if they could be “Dimaag se Dhoni” and select the best-performing teams. But the company now has the might of Tencent behind it, and will look to even more aggressively expand its services. Dream11 has already moved away from cricket — it runs fantasy games for Indian football and kabaddi, and has even moved to foreign shores — it’s the official fantasy league partner for the Caribbean Premier League. Its bread and butter, though, is still the IPL, during which it sees the most interest on its website. Dream11 does seem have a pretty heady combination on paper — India has a billion people who’re crazy about cricket, and they’re rapidly coming online thanks to cheap smartphones and cheaper data plans. And Dream11 throws in the potential of earning real money, along with the excitement of playing along with your friends. Dream11 is already worth $500 million — if it can continue dominating India’s fantasy games space, it might end up creating India’s first unicorn in the consumer gaming sector.